The historic building. MAC Photo. A decades-old Milford institution has undergone a massive facelift—and now it’s ready to get back to business. 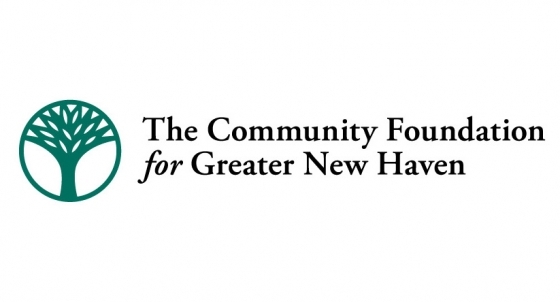 That’s the story for the Milford Arts Council (MAC), a recent recipient of the state’s “Good to Great” grant program from the Department of Culture and Economic Development (DECD). After over a year of intensive renovation, MAC will celebrate its recent transformation Thursday afternoon at its 40 Railroad Ave. headquarters. The event will feature work from the center’s most recent exhibition, George Amato: A Retrospective. Founded 45 years ago by a group of shoreline artists and creatives, MAC moved into the city’s old eastbound train station in 1995, inheriting a Civil War era building with water damage and signs of structural distress. For 20 years, it remained the council’s brick-and-mortar home, with staff members and volunteers trying to work around the building’s deficiencies. They tried valiantly, recalled MAC Executive Director Paige Miglio—but the space began to wear on them, and on their audiences. Ultimately, the work paid off—the organization ranked 11 of 22 on DECD’s final list, scoring $60,000. Miglio knew that a revitalization would take more time and resources; she secured an additional $15,000 match (from a source that she did not disclose), then an additional $10,000 from Milford Progress, Inc., $2,500 from Stonebridge Restaurant, and $2,500 from the Downtown Milford Business Association (DMBA). Working with a whole community of transit engineers, masons, legislators , contractors and supporters, MAC rehabbed and rebuilt, adding classrooms, new office spaces, auditorium and rehearsal space, and a 1930s-style speakeasy for concessions and events. There’s still work to be done, Migio said. “Classroom and storage areas need to be completed, the renovation would not reach any of the five bathrooms, the patio still needs another $2,000 to $3,000 in repairs and the theatre lighting system will most likely need to be replaced within the next two to five years,” she wrote in her comments for Thursday night. But to her, MAC already feels new and exciting. “We’ve really been kind of embraced,” she said, noting the organization’s central location and receipt of a Cultural Contribution award from the Milford Chamber of Commerce last year. Even with a title that includes visibility and awareness, Miglio said that she and staff members—there are only three of them, all working part-time—recognize that the project comes with continued accessibility hurdles. Membership remains $35, with further fees for ticketed events. Currently, MAC does not offer any system of reduced or pro-rated membership and tickets (although there are children’s and student prices on the organization’s website, which Miglio encourages Nutmeggers to check out), presenting programming that may be cost prohibitive to low and middle-income residents of Milford and Southern Connecticut more broadly. The leadership of the organization is largely caucasian, with three part-time employees (all working overtime, Miglio was quick to say) ranging from 51 to 65 years old—but Miglio added that staff and board diversity is important to her going forward. The organization also has no scholarship program for students who cannot afford to volunteer, or program that gives transit passes to students and adults outside of Milford (unlike, for instance, the Yale University Art Gallery’s Teen Program, which provides bus passes to students outside walking distance) to get to programming events. Miglio explained that its resources are incredibly stretched at the moment, but that opening up those activities is something she's thinking about much of the time.